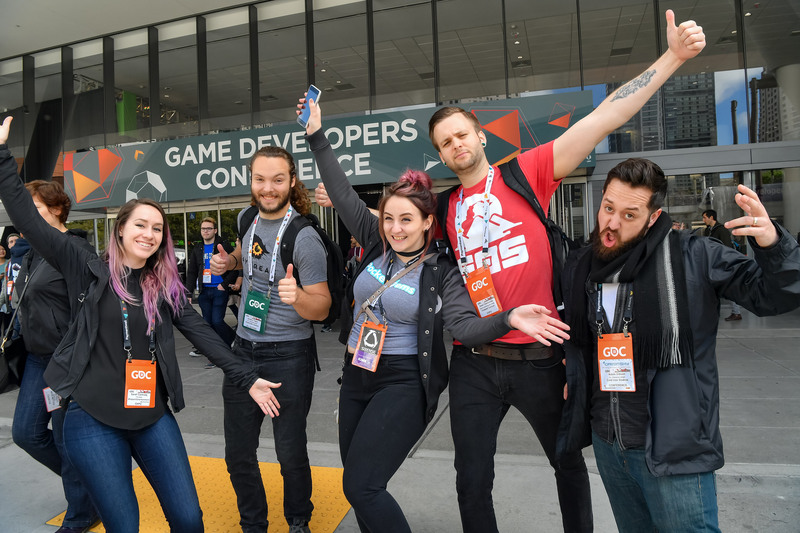 One of the things we hear most often with regard to attending GDC is how large it is and how that can sometimes make it tough to find “your people.” I spend A LOT of my time thinking about fun, engaging activities we can bring onsite to help facilitate opportunities for serendipitous networking. Casual forms of connection can mean the difference between wandering the event alone, and finding a cohort to enjoy it with. As an initially shy individual myself, walking into a large room where I know NO ONE can be the most intimidating experience for me. So, I like to find ways to arm myself with points of connection that can enable a conversation that doesn’t have to start from scratch. Enter – GDC’s Community Spaces. The term “Community Space” is two-fold: 1) it is a physical space that can help you find or develop your own community and 2) it showcases other community groups within the games industry. Let’s start with the second category. Game developers are wildly talented and creative. And while GDC aims to provide knowledge and tools to futher your career, we’d be remiss if we didn’t also celebrate the end product itself. 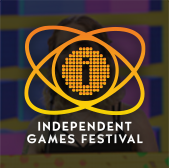 We work with groups in the industry such as Indie MEGABOOTH, Day of the Devs, Shut up & Sit Down, Mild Rumpus and Train Jam to curate amazing final products that you can get your hands on and play. 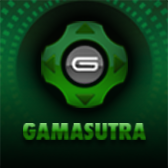 They bring together analog games and digital games, from all different walks of life, backgrounds and approaches to development. It’s also an opportunity to bond over gameplay – which is how the best friendships often start! I encourage you to check out all of the different community spaces onsite. There is something for everyone. Back to the first category. 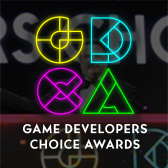 It is both overarching in concept, encapsulating things that fall into the second category I just spoke about, but also specific to a couple of new pilot programs launching at GDC this year. I’m really excited to announce a series of three community lounges on the expo floor dedicated to specific segments of the development community – game audio, writers & narrative designers, and visual artists. Each physical space will be designed specifically for the community it aims to serve and will house a number of interesting talks, Q&As, reviews, and various other hands-on activities. These are all aimed at providing a meeting point for folks in these areas to find each other, connect, and deepen their communities. Or simply find a place to sit for a minute and charge a phone. The space is yours to do as you see fit. The expo map is the best way to locate them (did you notice both halls are now connected with the addition of the newly developed Center Hall?!). If things go well, we’ll look to roll out a couple of new themed areas each year. We also have a few other announcements for networking spaces coming in the weeks leading up to the show, so stay tuned! I sincerely hope you spend some time in these areas celebrating your craft, and possibly getting to know a few fellow devs in the giant sea that is GDC.